Not every student goes directly to college following high school. Some may face financial burdens that make it necessary for them to move immediately into the workforce. Others may feel unprepared for the demands of college, or may simply be undecided as to what they would study should they decide to pursue their higher education. But college delayed, does not have to mean college denied. Today, more and more adults are headed back to school. It may be their first step along the path to higher education, or it may be a long delayed return to an interrupted college career. Either way, there is one thing adult students have in common with their younger counterparts – the search for college funding. Adult students are heading to colleges, universities and vocational schools for many different reasons. Some adults see it is a way of expanding their education and training, so that they can advance in their chosen careers. Many others are returning to school as a tool to changing professions entirely, learning new trades and techniques that will make them more attractive in a competitive job market. Whatever the impetus, college-bound adults still face the ever present obstacle of finding the necessary money to pay for school. Many programs, both public and private, are in place to give financial assistance to adult students who are returning to college. Federal and private loans, tuition reimbursement plans and education grants are all available to the enterprising adult student. 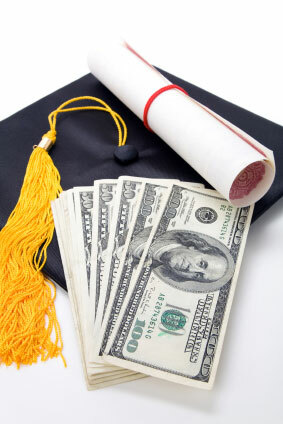 Finding the necessary funds for college, however, takes time and research. Searching for a suitable education grant should be every students first priority. While adult students may find it easier to secure a college loan than their high school counterparts, that loan will need to be repaid with interest. College grants, however, never have to be repaid. The more money adult students can secure through grant programs, the less they will have to find in college loans. In the search for suitable college grants, adult students will find the internet to be their prime source of information. The rule of thumb is to narrow your focus, and search for grants that apply specifically to your status as a returning student. Many grant programs target specific sections of the population, such as veterans, women, minorities and disabled students. Other grant programs may be career specific, and dedicated to students who are pursuing distinct professional paths. The combination of your age, life status and career intentions will help you to find those financial aid programs that most specifically apply to you. The Federal government provides a wide range of financial aid opportunities for students of all ages, including both loans and grants. These financial aid programs are regularly utilized by college-bound high school graduates, but are also open to returning adult students. There are two specific Federal education grants that can benefit adult learners. The Federal Pell Grant – This government funded grant remains the most popular form of financial aid for college students. Applicants must demonstrate the requisite level of financial need to be considered. Grant awards are determined by financial need, and the full time or part time status of the student. Maximum awards are $5,500 per academic year. The Federal Supplemental Educational Opportunity Grant (FSEOG) – Adult students who have already attended college, and are looking to return to school to further their education may find that the FSEOG provides some much needed financial aid. The FSEOG is available to students who have qualified for the Pell grant, but still have significant financial need. Award amounts range from $100 to $4000. As with all college-bound students, adult learners looking for Federal financial aid must fill out and submit the Free Application for Federal Student Aid, or FAFSA. State funded grant programs may be less prevalent than Federal programs, but they do exist. Many states are currently funding targeted education grants for adult students who need to return to college or vocational school for job specific training. These grants are dedicated to helping low-income adults, and/or displaced workers, gain the educational tools they need to succeed in an ever changing job market. For example, The New York State Higher Education Services Corporation sponsors the College Access Challenge Grant which provides much needed funds for low-income adult learners who wish to return to school to improve their employment prospects. Every state will offer different financial aid tools for adult learners, ranging from direct education grants to tuition reimbursement programs. To find out what may be available from your state government, visit the state’s dedicated department of education website for more information. Purdue University’s Span Plan, which provides grant money to adult learners returning to college in order to pursue career oriented training and education. Applicants must meet certain income requirements, and must be attending either Purdue West Lafayette or Purdue College of Technology. The Minnesota State Colleges and Universities System supports the annual Alliss Educational foundation Grant. This opportunity grant targets adult learners who are beginning college late in life, or who are returning after a prolonged absence. The grant provides full tuition for one course, up to five semester credits. Some adult students may find that their current employer offers grants, or tuition reimbursement programs, that can help to defray some of their college costs. Businesses recognize that well educated employees are a great asset to the company, and often provide financial incentives for their employees to return to school for additional education and training. Check with the Human Resources department at your place of employment to find out if there are financial aid programs in place that can help you return to college. Women and minority students who are returning to college, will find additional grant programs specifically designed for them. These financial aid programs are designed to help address the under-representation of women and minorities in certain professions. Women and minorities can begin their search for financial aid by combining their personal status with their career interests. For example, an adult woman looking to return to college to pursue their business studies might search the internet for “College grants for adult women seeking business degree”. The many results would include the American Association of University Women’s Career Development Grant, designed for women who are returning to college to pursue an advanced degree in business with the intention of changing careers or returning to the workforce. The National Black Nurses Association sponsors a number of grants and scholarships for African-American students pursuing a career in nursing. Adult students can apply for grants through their local state branch of the NBNA. Awards range from $500 to $2000. 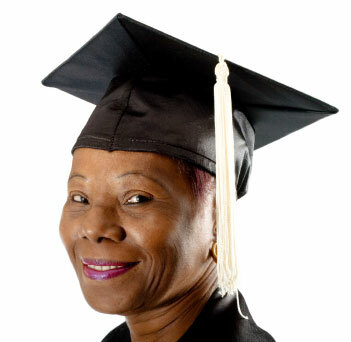 The Patsy Takemoto Mink Education Foundation provides an annual grant for low-income women with dependent children who are returning to college for education and training. The grant is an award of $2000 to successful applicants. Adult learners are taking a significant step forward when they decide to return to college. While the challenges are significant, the rewards are incalculable. College grants can help adult students overcome some of the financial challenges, and help put them back on the path to higher education. Adult students will also want to see our section on Grants for Non-Traditional Students for additional information on financial aid programs they may find beneficial.